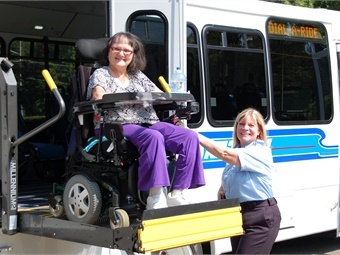 Solid written policies and practices for working with ADA paratransit customers are needed to ensure regulatory compliance and reduce headaches for both the rider and the operator. The Americans with Disabilities Act (ADA) requires that fixed-route transit systems provide comparable transportation to people with disabilities who are unable to use the fixed-route system. 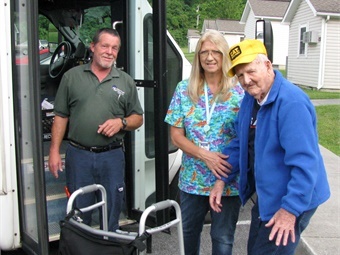 The additional service requires a provider to develop a policy to certify individuals who are eligible for ADA paratransit and create detailed policy for implementing service that meets the requirements of U.S. Department of Transportation ADA regulations. The ADA requires that paratransit service operates in the same service area as your fixed-route system with comparable fares, service hours, and days of operation. A provider cannot deny trips based on trip purpose, and the service must operate with comparable response time. No paratransit service can be limited because of capacity constraints. These requirements can be challenging to implement and operationalize; consequently, solid written policies and practices are needed to ensure regulatory compliance and reduce headaches for both the rider and the operator. Solid policies — whether for employees or riders — are the backbone of any transportation agency’s operations. A policy is a stated position on an issue that provides the written basis for operations, secondary only to legislation or governing documents. • Protect your staff, volunteers, and riders. • Serve as a reference for decision-making. • State your position on internal or external issues. When writing policies, remember that what your agency writes and publishes will be viewed both internally and externally. The text should be formal and much depends on understanding and interpretation of what is written. Mistakes can be costly if text is not written well. Bear in mind that policies are often written to implement state or federal legislation and local ordinances, to satisfy requirements of a governing body, or in response to legal counsel. Therefore, it is important to establish a process for completing new policies or updating existing ones. Create a checklist and timeline that includes a thorough review process. A policy should be reviewed for ongoing effectiveness. 1. Establish need for the policy. Be proactive by anticipating the need for a policy to address a potential issue, rather than retroactively addressing an issue that has already come up. Find lead staff members to develop policies and identify others who will provide feedback once policies are developed. 3. Gather information about current status of the issue. See if colleagues from other agencies have a good policy to use as a foundation. Review samples of recent policies before developing or updating your own. If your transit agency is part of a local government, include a review of non-transportation policies to gain an understanding of how current policies related to similar services (e.g., human services, public works, and recreation) are worded. 4. Prepare a draft version and ask for feedback from a variety of stakeholders. The draft review provides an opportunity to raise intra-organizational awareness and buy-in. Check that you have used plain, third-person language with good grammar and an active voice. Use people-first language. Know your verbs. Shall, will, and must indicate requirements. Should indicates a moral choice, and “may” and “might” also indicate choice. Define exceptions clearly, and put forms or lengthy explanations in supplemental attachments. Make sure policies do not conflict with legal requirements. 5. Finalize your policy and get approval. Determine the chain of approval in advance to include supervisor and manager staff, executive staff, the governing board, and others. 6. Have a communication strategy in place to roll out the policy. Determine how you will announce the policy. Examples include displaying posters on transit or in public places, communicating the changes through email, newsletters, websites, rack cards, and staff meetings. Other ways to communicate external policies include public meetings, phone hold messages, letters, and rider handbooks or brochures. 7. Prepare employees and confirm that your staff understands the policies. Employee handbooks should include copies of appropriate policies to ensure consistent application and compliance. Provide opportunity for employee Q&A on policies to make sure that all uncertainties are addressed before implementation begins. Ensure that employees have acknowledged reading the policies. 8. Select an “effective by” date and be firm about your rollout period. Once you’re confident that your policy is ready to announce and implement, be firm about your commitment to the policy and its implementation. Unless absolutely necessary from a legal standpoint, last-minute changes can be confusing for both employees and affected riders. 9. Monitor, review, and revise. Monitoring is important to identify any challenges to a policy, to gain input from those who implement the policy and comply with the policy. In addition, policies can fall out of date depending on changes in federal, state, or local requirements. A policy should be reviewed for ongoing effectiveness. The most effective transit policies are those that are well-drafted from the get-go. Documenting your preparation and review process and communications strategy will make the job easier for your staff the next time a policy update is needed. Rachel Beyerle is the Communications Director and Kenneth Thompson is the Training & Technical Assistance Specialist for Easterseals Project Action Consulting (www.projectaction.org).